Application platforms, such as the Red Hat OpenShift Container Platform and the Pivotal Cloud Foundry, help accelerate the adoption of cloud native principles which will accelerate application deployment, enable faster application iteration and provide a unified experience. These platforms simplify the deploying of application code, automating software release processes, and monitoring your application and infrastructure performance. Additionally, application platforms provide you with an out of the box cloud native experience across multiple environments. Leveraging these technologies, you can extend your applications into the cloud without significantly changing your existing application code base or development procedures and avoid costly refactoring processes. Seamlessly build, deploy, and manage applications across on-premises and cloud environments. Benefit from the scalability, high availability and agility that has made cloud native businesses a success with minimal effort. Gain agility by enabling developers to self-serve in a way that provides functional parity between development and production environments. Iterate quickly to give your customers what they want. Provide a unified experience across every deployment environment. Allow developers and engineers to deploy applications across multiple environments, both on-prem and in the cloud with confidence. Let AWS take care of undifferentiated heavy lifting. Allow developers to focus on building differentiated products instead of managing commodity application components. Application platforms automate application builds, deployments, scaling, health management and more leveraging integrated components from Kubernetes. Developers can work in their local test environment and be confident that application behavior will be work the same when deployed to production environments. Drive operational efficiency with AWS’ economies of scale. Pay only for the services you use with no long term or upfront commitment. Integration with the Red Hat OpenShift Container Platform provides a turnkey solution to connecting your applications to the cloud through the same familiar interface. The platform unites developers and IT operations on a single platform to build, deploy, and manage applications consistently across hybrid infrastructures. OpenShift's wizard based user interface guides developers through the deployment of curated, best-practice configurations, reducing the time and complexity of extending your application to the cloud. Pivotal Cloud Foundry is a cloud native platform for deploying next-generation applications. Based on open-source technology, PCF enables enterprises to rapidly deliver new experiences to their customers. PCF can be deployed on-premises and in the cloud to help enterprises manage hybrid environments. It provides a uniform way for you to launch and quickly iterate on ideas in the language of your choice, allowing you to focus on adding business value with applications rather than designing and implementing how the application will be deployed, scaled, and exposed to end users. PCF’s orchestration mechanisms enable developers to accelerate application development and reduce time to market. SUSE Cloud Application Platform on AWS provides a lean and fast solution to accelerate containerized application delivery. By leveraging a managed Kubernetes environment, SUSE makes it easier for DevOps teams to deliver applications, accelerate innovation, and improve IT responsiveness. SUSE Cloud Application Platform is easily deployed on Amazon Elastic Container Service for Kubernetes (EKS) to deliver a turnkey, enterprise developer experience with guardrails, helping monitor the health of all containers and automatically restarting ones that fail. VMware PKS is a purpose-built container solution to operationalize Kubernetes for enterprises and service providers. It significantly simplifies the deployment and management of Kubernetes clusters with day 1 and day 2 operations support. With hardened production-grade capabilities, VMware PKS takes care of your container deployments from the application layer all the way to the infrastructure layer. 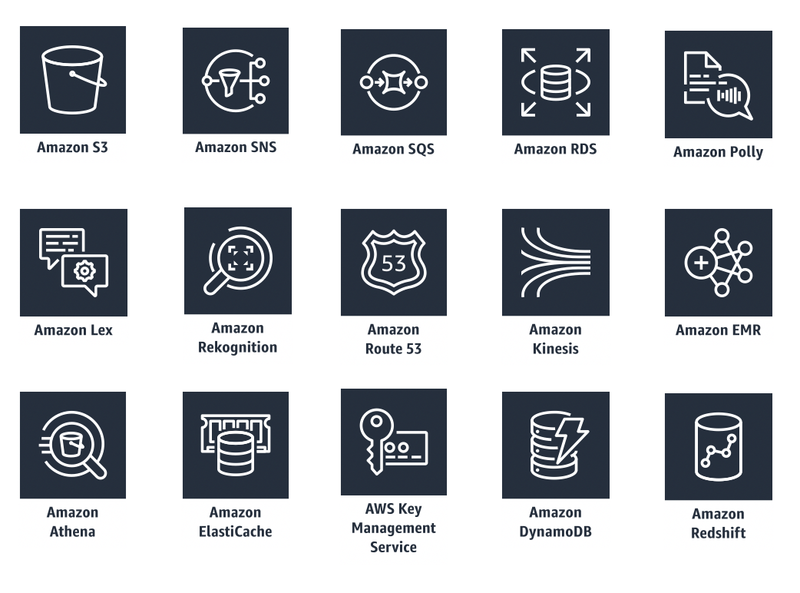 The AWS Service Broker is an open source project which allows native AWS services to be exposed directly into these application solutions and provide a seamless integration with applications running in the platform. The AWS Service Broker integrations are natively available in Red Hat OpenShift.